The 2018 Dodge Challenger SRT Hellcat Widebody is not for the faint of heart. The new Hellcat Widebody steals some aesthetic and performance features from the impressive 2018 Dodge Challenger SRT Demon and adds some of its own unique features. 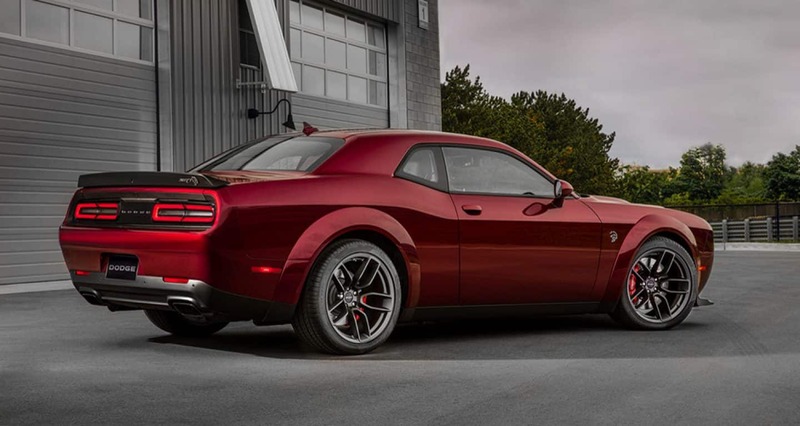 To learn more about the latest addition to the Dodge Challenger lineup, check out the information below! What makes the 2018 Dodge Challenger SRT Hellcat Widebody stand out from the rest of the lineup? The Dodge Challenger SRT Hellcat Widebody offers many new traits that aren't yet seen in the rest of the lineup. What most buyers will notice first are the new fender flares-these are taken right off the limited-edition 2018 Dodge Challenger SRT Demon and add 3.5 inches of width to the Challenger SRT Hellcat Widebody. 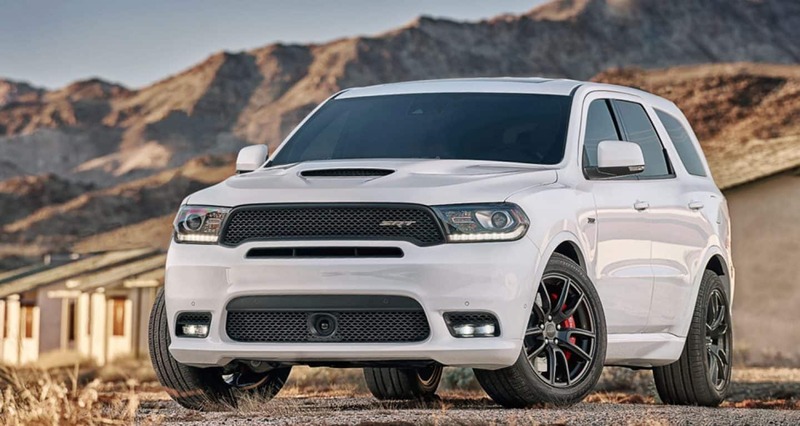 The new SRT Hellcat Widebody also offers Devil's Rim split-five spoke wheels that are paired with 305/35ZR20 Pirelli P-Zero tires designed for performance and giving the Hellcat more grip than ever before. In addition to this, the Widebody can travel a 1.7-mile track two seconds faster than the standard Hellcat. The Challenger SRT Hellcat Widebody also features a new standard electric power steering system that offers SRT Drive Modes for ideal handling and steering in many settings. Modes include Street/Auto, Sport, and Track. What makes the 2018 Dodge Challenger SRT Hellcat Widebody look so menacing? The Widebody's new fender flares clearly add a strong and intimidating look to the already menacing Hellcat and officially make it the widest Challenger ever alongside the Challenger SRT Demon. In addition to the new fender flares, the Hellcat Widebody includes a power-bulge aluminum hood that features dual heat extractors and a center intake. There are quad projector headlamps with brow "chops" that frame the lights and further their sinister look. Air-Catcher headlamps are another exclusive feature of the Hellcat Widebody that keeps the engine cool by feeding air directly into the engine bay and air box. All-new grille, fender, and spoiler badges appear exclusively on the Hellcat lineup. The new tires of the 2018 Dodge Challenger SRT Hellcat Widebody fill the wheel wells making it appear more sturdy and planted than before. What powertrain can I find within the 2018 Dodge Challenger SRT Hellcat Widebody? Beneath the hood of the 2018 Dodge Challenger SRT Hellcat Widebody, there's a 6.2-liter supercharged SRT Hellcat V8 engine. Output for this astonishing engine is 707 horsepower and 650 pound-feet of torque. There are two transmission options to pair with this engine: an eight-speed TorqueFlite automatic or a six-speed Tremec manual. 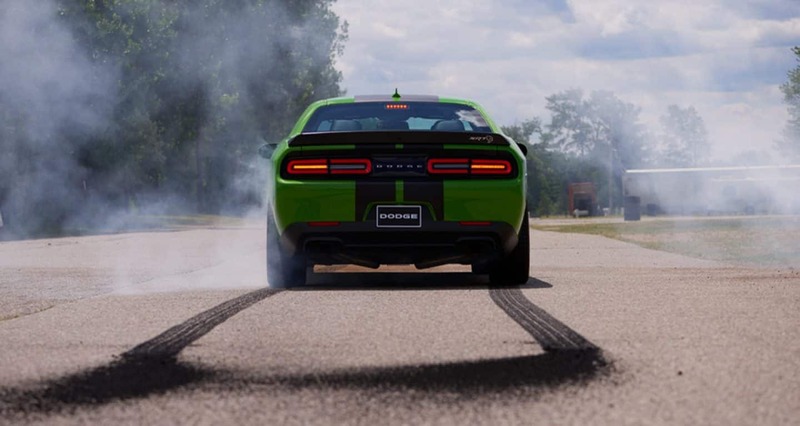 Regardless of the transmission, the powertrain of every Hellcat Widebody is completed by rear-wheel drive. This incredible powertrain moves the Challenger SRT Hellcat Widebody across a quarter-mile in just 10.9 seconds and accelerates it from 0 to 60 in a mere 3.4 seconds. 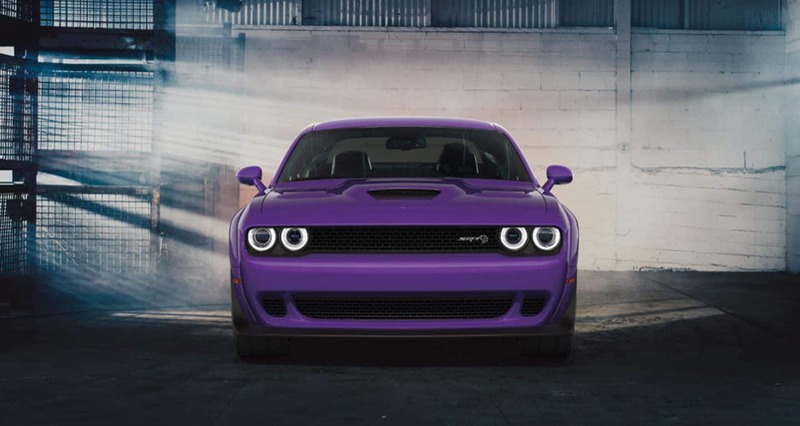 The Hellcat Widebody is capable of achieving a heart-stopping 195 miles per hour. We can't wait to offer the 2018 Dodge Challenger SRT Hellcat Widebody right here at our dealership. If you want unmatched performance, you have to check out the fantastic new addition to the Challenger lineup. Give us a call, fill out the contact form below, or stop by our lot to learn more about and schedule a test drive in the 2018 Dodge Challenger SRT Hellcat Widebody!